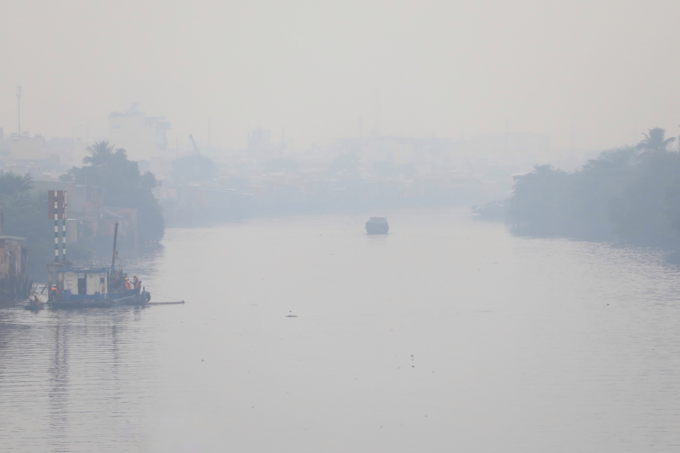 A thick fog that blanketed Ho Chi Minh City until noon Friday has residents and experts worried about worsening air quality. Many parts of Ho Chi Minh City were under such a thick layer of fog Friday morning that many drivers complained of poor visibility. 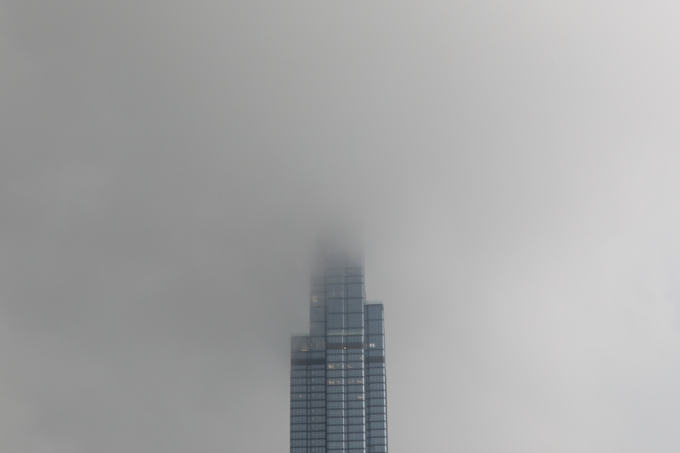 The fog’s density could been seen in the way it obscured the peak of Landmark 81 in Saigon's Binh Thanh District, Vietnam's tallest building. 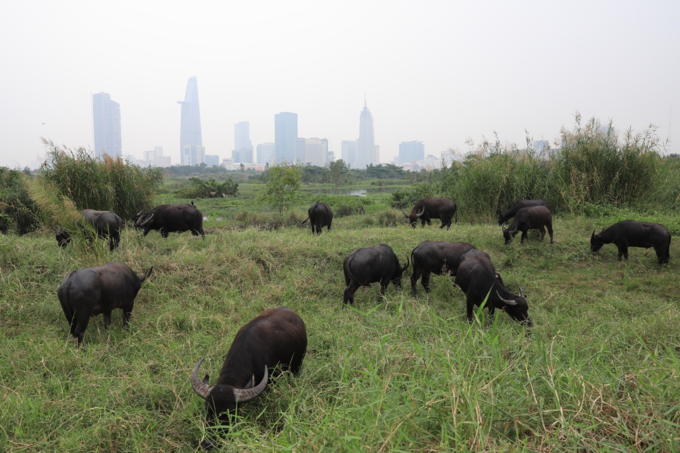 From the Thu Thiem Urban Area in District 2, the fog cast a screen over the city center and its skycrapers. 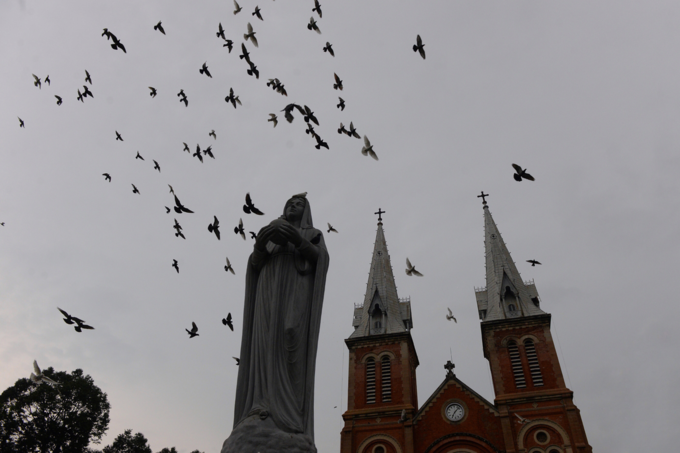 The photo was taken at 9 a.m.
"Everything looked mysterious and it looked as though we were in Da Lat," said resident Le Van Tam, referring to the Central Highlands town where it is almost always cool and fog. Temperatures in the usually hot city dropped to 21 degrees Celsius (70 degrees Fahrenheit) on Friday morning. The Phu My Bridge in District 7 and the high-rise buildings beyond it were shrouded. At far is a boat on the Doi Canal in District 8. While some commuters were fascinated with the "romantic" foggy landscape, others were worried about the health risks involved. 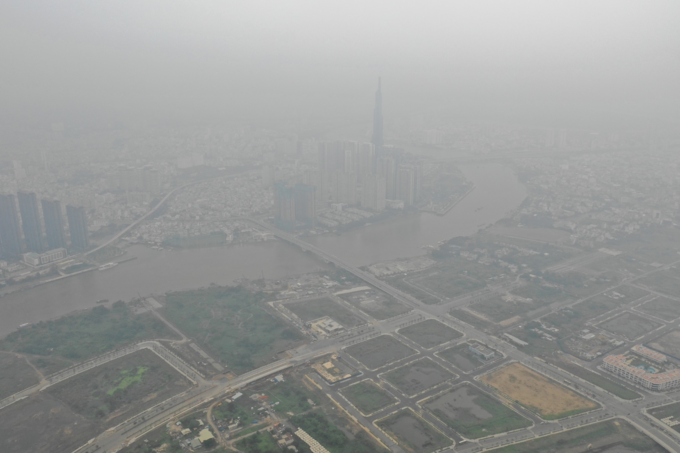 "I didn’t know the fog was caused by weather phenomenon or dirty air quality. So now I have to wear face masks outdoors to prevent respiratory infections and airborne diseases," said one resident who did not want to be named. 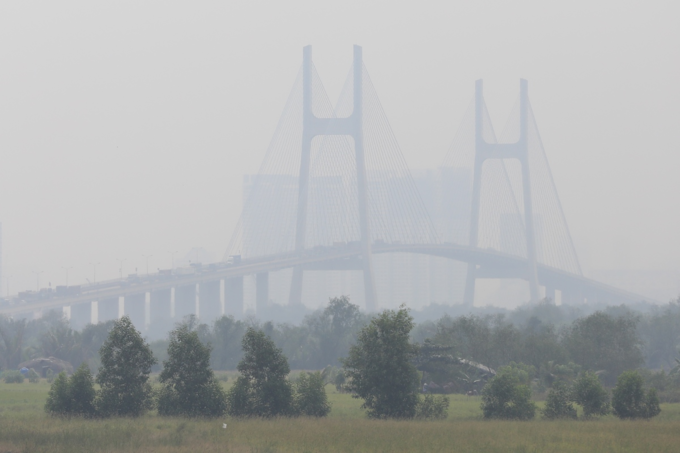 At around noon, the smog started to clear, but visibility was still poor in the area in front of the Independence Palace in District 1, also known as the Reunification Palace. Experts have advised people to take extra protective measures against dust and other toxic substances that tend to linger in the fog. The iconic Notre Dame Cathedral, still closed to tourists pending completion of a major restoration project, was a blurry sight till Friday afternoon. 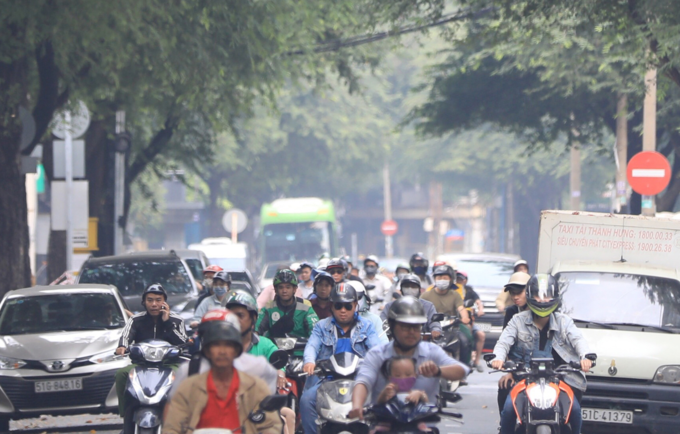 Smog was a very rare phenomenon in HCMC up until 10 years ago, but it has become more common in recent years. 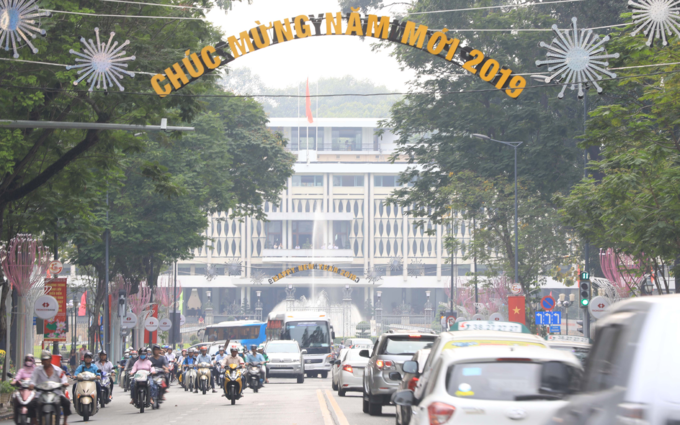 Le Dinh Quyet with the Southern Meteorological Center said the city has been smog-smothered in recent days, often until noon. It was a sign of air pollution, he said, suggesting that traffic and industrial smoke can be factors.